THE Supreme Court has dismissed an appeal by prominent Bulawayo lawyer Mr Ndabezinhle Mazibuko challenging exorbitant fees charged by Christian Brothers College (CBC) and the school’s failure to provide textbooks and stationery to pupils. Mr Mazibuko, who had a son doing Advanced Level at the affluent school in Bulawayo’s Matsheumhlope suburb two years ago, accused CBC of increasing fees willy-nilly without the approval of the National Incomes and Pricing Commission and the Ministry of Primary and Secondary Education. 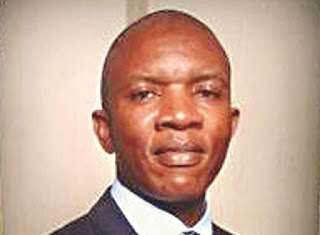 Mr Mazibuko’s appeal through his lawyers, Calderwood, Bryce Hendrie and Partners, followed the dismissal of his application by Bulawayo High Court judge Justice Martin Makonese in 2015. Justice Makonese argued that the court had no basis to interfere in cases involving private contractual relationships. Supreme Court judge Justice Paddington Garwe sitting with Justices Ben Hlatshwayo and Annie Marie Gowora ruled that there were no good grounds for the court to review the school’s long standing policies on school fees and its relationship with parents. Mr Mazibuko sought an order compelling the school to provide pupils with textbooks to justify its “exorbitant” fees. In his grounds of appeal citing the CBC board of governors, the National Incomes and Pricing Commission and the Permanent Secretary in Ministry of Primary and Secondary Education as respondents, Mr Mazibuko said the lower court’s decision was misdirected. “It is submitted that the court a quo dismissed the application on the sole basis that the appellant had signed a contract with the first respondent (CBC), which prevented the court from interfering with the contract. However, in terms of the sections 4 of Administrative Justice Act and the Consumer Contracts Act, the court is actually empowered at law to interfere in the contract and grant appropriate relief,” argued Mr Mazibuko. He further argued that other prestigious schools in the city were providing textbooks from the money paid in fees and queried why CBC was the odd one out. Mr Mazibuko claimed 80 percent of the school’s budget went towards paying teachers’ salaries and allowances at the expense of his son’s education. He argued that it was a violation of children’s right to education. The lawyer said he was spending more than $400 on textbooks and stationery. Mr Mazibuko said he raised the issue in 2011 at a parents meeting when his other son was still at the school but nothing had been done despite the majority of parents agreeing with him. CBC through its lawyers, Webb, Low and Barry, argued that it was common cause that Mr Mazibuko and the school were associated with each other voluntarily by a reason of a contract signed between the two parties.